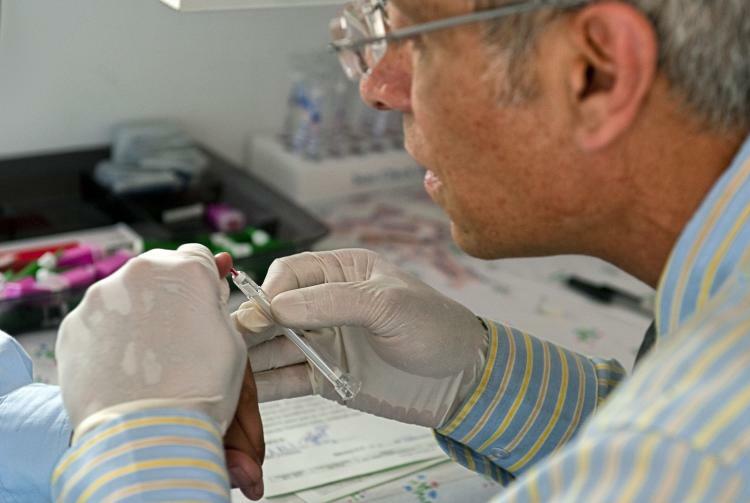 Initial trials of a new HIV injectable treatment, once a month dosage, and the participants maintained a level of the drug within their system that in theory would prevent infection of the virus with little to no side effects. A new HIV-Prevention drug in testing at London’s Chelsea and Westheimer Hospitals, the study involved 27 women and 6 men; the research was presented at the 19th Annual Conference on Opportunistic Infections. St. Stephens AIDS Trust (SSAT) conducted the study over a thirty day period, with a single injection of a long-lasting riplivirine—a drug that was released last year by Edurant. The participants were between the ages of 18-50, women were given 300 mg, 600mg, or 1200mg; while the men received a dosage of 600mg and later throughout a 12-week period samples of the women’s vaginal tissue and men’s blood, rectal tissue were monitored to observe the levels of the drug within their system. The results of the study proved quite promising with few side effects (such as tenderness/swelling on the injection site) or no side effects at all. AidsMap.com reported, “Over the time period, levels of drug seen were about 80% higher in vaginal fluid than in blood in women taking the 300mg dose and about 20% higher in the other two doses: conversely, drug levels in vaginal tissue were about 25% lower than in blood, and 50% lower up to day 14 in the 300mg dose group.” This study presents a shimmer of hope to HIV and AIDS prevention, with more trials and data it could prove viable. ”There is an obvious need in HIV prevention and treatment for formulations that reduce the need for the user to depend on daily administration,” Akil Jackson, a researcher said. (EdgeBoston.com) Maintaining one’s health and preventative medicine is the new look of healthcare which in the future will provide a better quality of living, hopefully this treatment snowballs into a win for the quest for a cure of HIV/AIDS. Last week I informed you guys about great all natural skin care products that I personally experienced by Origins. This time I am going to give you the scoop on a skin care regime that is popular amongst men who maintain great skin. From what I hear this amazing skin care was developed by M.D. Howard Murad, a leader in skin treatment science. A holder of 18 different dermatology patents, Vogue Magazine crowned Murad as “One of the country’s best dermatologists”. What’s different about Men’s Skin Care? What should Men look for in Skin Care Products? So you can now understand why it’s so important to invest in skin care products that will not only give you great healthy skin, but maintain it. With that said, I introduce to you the Murads Man Skin Care! Murad offers the complete “Murad Man Regimen”, which is a daily skin care product line that was specifically developed for the skin care needs of men. The collection includes Cleansing Shave (retails for $28), an effective skin cleanser that doubles as a soothing base for daily shaving. Also included is Razor Burn Rescue® (retails for $35), which is an essential skin care product for any man who shaves regularly. Razor Burn Rescue effectively reduces ingrown hairs, bumps and irritation from shaving to help skin look its best. Finally, sun protection and hydration are combined into one men’s skin care product with Face Defense® SPF 15(retails for $33), a daily moisturizer for men with sunscreen that provides lightweight, healthy hydration. 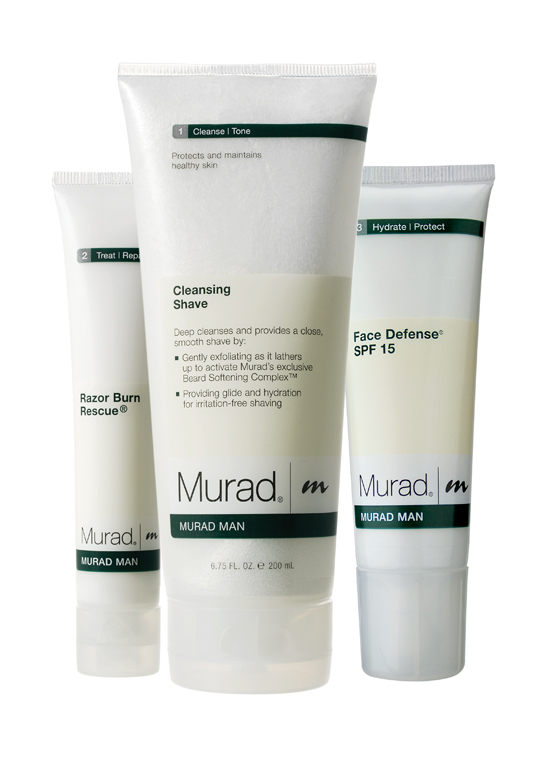 You can also purchase the 90 day supply of all 3 pieces in the “Murad Man Regimen” for $75! A $18 difference from buying all three pieces separately. Men’s skin has unique requirements, and Murad has the proven skin care products to address those needs. So visit his website ASAP and try out his “Man Regimen”! Shaves that feel like fire? Cracked, dry hands? Men need specialized skincare too. As we go into a New Year, we must put a new focus on what’s really important. On the top of that list for the modern man is Skincare. You are the face! It’s what people notice about you first. Do you want them to witness a catastrophe or envy your glow? I would like to introduce you guys to a facial regime guaranteed to train your skin to look flawless all year (without makeup). “Powered by Nature, Proven by Science” here is Origins for Men. Everyone wants to know why I eat like a 12 year old and still have amazing skin. My Secret is the Origins Top Sellers “Checks and Balances” frothy face wash and the “Save the Males” multi-benefit moisturizer. The “Checks and Balances” frothy face wash will cost you anywhere between $10 and $19.50 but completely worth the $$$. It’s great for all skin types, has maximum coverage and provides a cleanser that balances the dry and oily spots. Broad Leaf Kelp Extract discourages excess oil production, while Wheat Protein balances and protects dry prone zones. Tourmaline actually makes water wetter to more easily disperse dirt and sebum down the drain. There’s also aromatic Bergamot, Spearmint and Lavender to add pleasure to the process. Skin feels comfortably refreshed after cleansing, never tight, pulled or parched. So this product is not only great to maintain clear and well balanced skin, but it’s also completely natural! 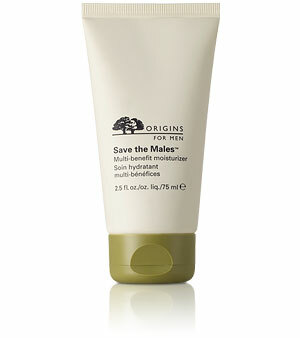 The final piece to my skincare regime is the “Save the Males” multi-benefit moisturizer. It’s a great alternative to throwing Vaseline or lotion all up in your pores. The 2.5 fl. Oz. bottle will cost you about $34 and they even offer an auto replenishment option so you never run out. This moisturizer has a silky texture and also has maximum coverage, so that only a drop of product is needed to do the job. This multi-benefit, oil-free lotion with Carrot Protein and other natural activists supports skin, so it stays healthy and hydrated. Chinese Wolfberry and Mangosteen Extract offer powerful antioxidant protection. White Birch takes a firm stance against the formation of fine lines and wrinkles. This is definitely a winner in my book; anything that hydrates, balances natural skin oil, and detracts aging and wrinkles is worth the investment. 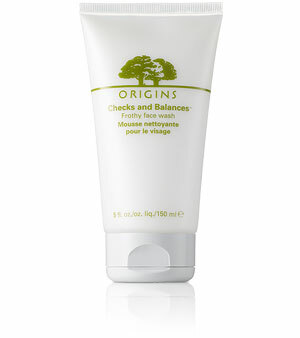 “Checks and Balances” frothy face wash and the “Save the Males” multi-benefit moisturizer, is available Online at Origins.com or at your Local Origins Store. P.S. Origins Reps will also do a skin test and leave you with tons of samples of their products, so stop by a store today! 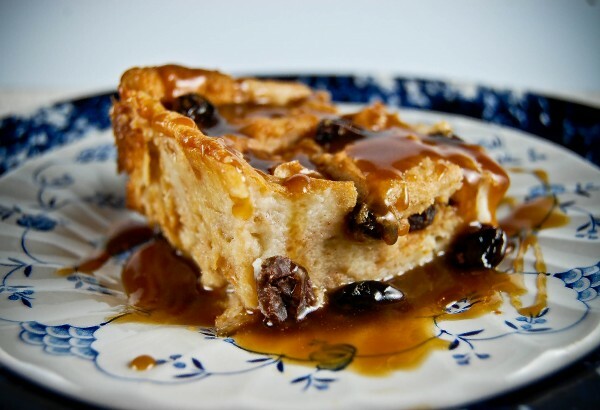 Bread pudding may be your fondest Holiday memory of decadent treats with so many variations to please everyone’s taste. Here is my favorite recipe courtesy of Tosca Reno, the fittest 50+ year old in the fitness industry! 1. Preheat oven to 350 F. Prep loaf pan with non-stick cooking spray. 2. Place bread cubes in the bottom of pan. Sprinkle dried fruits and almonds over bread cubes. In a medium mixing bowl, combine eggs, molasses and salt. Whisk well. 3. Transfer milk to medium saucepan and bring to a boil. Remove from heat and whisk slowly into egg mixture. Pour over bread mixture in loaf pan. 4. Place loaf pan in a shallow water bath and bake for one hour or until bread mixture begins to look brown and the liquid has been absorbed. Remove from heat and serve hot. Yogurt and berries or even a sprinkle of powdered sugar will seal this masterpiece. Enjoy! Let`s be honest. All of us are going to indulge in Holiday treats because occasions are intertwined with good food and even better company. Instead of morphing into a royal Grinch and spoiling the festivities by turning down red velvet cake or pecan pie, here are some ways to battle the bulge once the Holidays are over. Who says you can’t have your cake and eat it too? Enjoy yourselves this Holiday Season but every decadence you indulge in there’s an equal fitness penance waiting! Hello Everyone! I hope all of my G.O.Ps had a wonderful Thanksgiving and each and every one of you took the time to reflect on the things and people you are thankful for. I have a Tanita bioelectrical impedance scale and have used mine for over 5 years for personal and commercial use and it’s very enlightening and useful. Which one would you use? As promised, here is Dr. Gillian’s one-day detox diet! Taken from Dr. Gillian McKeith’s YOU ARE WHAT YOU EAT: The Plan That Will Change Your Life. 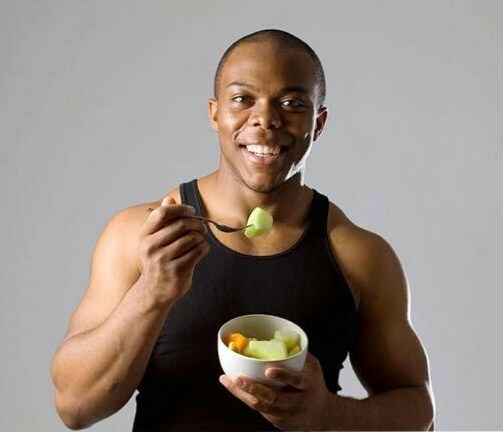 For the detoxification process to work properly, you should not starve yourself. 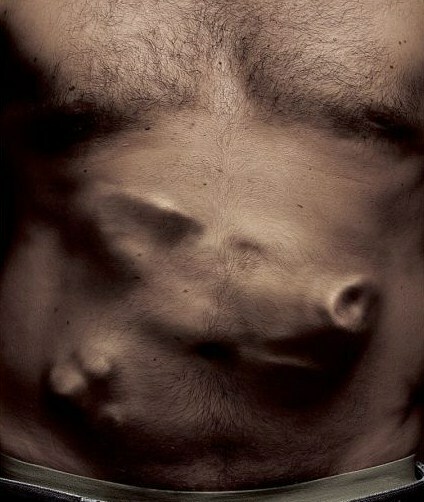 You will simply give your organs a holiday from what you normally eat. You will cut out the naughty foods, add lots of good foods that cleanse your organs and facilitate the expulsion of toxins from your body. And as a result you will brim with vitality and energy. Place 2 heaped teaspoons of organic linseeds in a large glass of filtered water. Soak 1 tablespoon of linseeds in a cup of boiling water the night before. Drink only the liquid in the morning. Fruit. Your breakfast fruit should be served at room temperature. Eat enough so that you are not hungry and chew it really well. Avoid oranges or orange juice as they are too acidic. If you opt for grapes, don’t mix them with anything else, chooses from: apples, pears, papayas, pineapples, cherries, peaches, plums, watermelons, apricots, berries. During this Detox Day, we will take several tea breaks. After all, what would we do without our tea breaks? 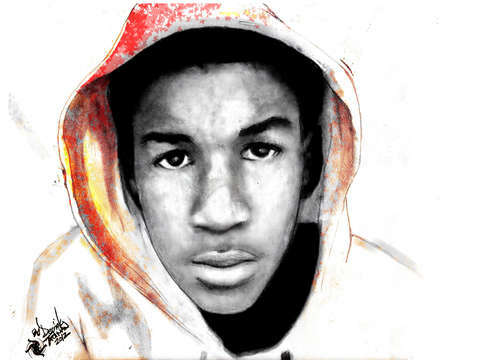 So this day is no different. I have built in a number of them for your sipping pleasure. Nutritionally speaking, though, my tea breaks will be nourishing, healing and will enhance the detox. You will need to choose from the list of teas that I tell you, You cannot drink your caffeine-laden black tea, but you can drink: nettle, dandelion, camomile, sage, or Echinacea teas. Choose seasonal fruit, freshly squeezed or pressed with your juicer, if it’s winter and/or you feel chilly, and then add some boiling hot water to the juice. If you are getting rather hungry mid-morning, then please make more juices for yourself. You’ve made it so far. And i bet you’re doing just fine. Grain such as millet, quinoa, rice, amaranth – After cooking the grain add one or more of the following raw herbs to mix with it: dill, chives, chervil, or dandelion leaves. Serve with a side dish or broccoli, cauliflower, cabbage, cucumber, dark green lettuce leaves, celery or Brussels sprouts. This is delightful and very nourishing to the liver. 6 carrots, 2 celery stalks and 1 apple. 3:30 PM IT’S SNACK TIME! Snack on sunflower seeds, pumpkin seeds and/or raw sauerkraut. Juice the carrots and apple through a juicer. Add to other ingredients and blend in a blender or food processor. Squeeze a dash of lemon into the drink. You are doing very well, keep it up. Fill saucepan with approximately 1.8 L of water. Slice vegetables directly into water, bring to the boil, then reduce the heat. Cover and cook on a low temperature (a very light simmer) for 2 hours or so. Strain the vegetables and drink only the broth. Just squeeze fresh lemon into a teacup with warm or hot water and drink. Munch on lettuce and celery stalks before bedtime. (Celery is loaded with the mineral magnesium, one of the most calming nutrients.) Go to bed early (between 9:30 pm and 10:30 pm) if you can. In the fitness world, we call splits divisions of body parts that we group together. Some people like to group push movements together in one workout (i.e. shoulders, chest) and pull movements in another workout (i.e. biceps, back). Other people like to mix push and pull movements in one workout. Splits can reduce the number of workouts required per week to fully exhaust the entire body. Below are three different variations that may suit some of your schedules. If you’re too busy to work out every day during the week, give one of these training splits a try. There’s never an excuse for not maintaining your health. Knowledge is Power: Knowing Your Status is not a Stigma! World AIDS day is Today, December 1st each year is set aside to give homage and hope to the progress and the history of this epidemic. A documented 1.2 million cases of people living with HIV in the U.S. only 40 percent are taking their medications regularly (based on CDC report released Tuesday). Atlanta health officials documented that only about 1 in 4 of those infected with the disease is properly taking their medications, primarily due to their lack of being tested for the virus. Living with HIV and AIDS in 2011 might seem a stark reality, a stigmatized existence, or a medical diagnosis that can be overcome. In light of the negativity hat is brought in the narrow-minded scope in places like Jacksonville, there are still some who find a way to light the path for others to live. Veronica Hicks, 50 Jacksonville native, HIV positive and she is creating a positive change in her church by starting a support group and testing awareness ministry. Hicks felt that as long as she embraced her status and was open she could create change. The Center for Disease Control also reported that about 28 percent of individuals infected are properly medicating themselves in order to keep the virus at low levels. Through early detection comes the ability to fight the virus and live a longer fuller life. Magic Johnson, former NBA star turn HIV/AIDS advocate after being infect for 20 years, told CNN: “Early detection saved my life! I’ve done everything I was supposed to do to be here 20 years later. Back 20 years ago there was only one drug now there’s over 30 drugs to take care of you and prolong your life.” Johnson spoke about having the proper frame of mind and saying that mental acceptance was essential in defeating the disease and prolonging his life! 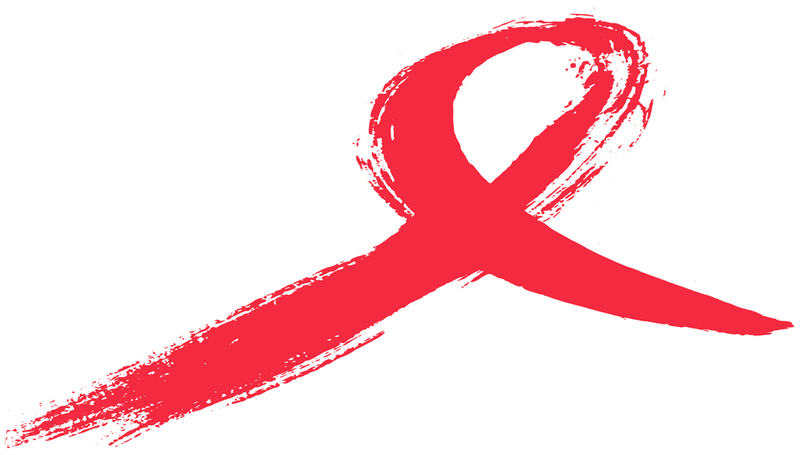 If you are interested in learning more about HIV and AIDS check out One.org or WorldAIDSday.org as well. GET TESTED and KNOW YOUR STATUS! I love to read and yes my favorite thing to read about is how to improve one’s health. 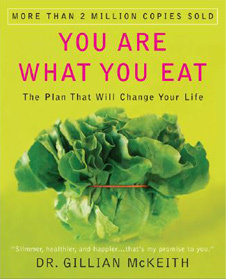 One of my favorite books is YOU ARE WHAT YOU EAT: The Plan That Will Change Your Life by naturopathic Dr. Gillian McKeith. You may have seen this tough Scottish femme fatal on The Learning Channel (TLC) on her show You Are What You Eat where she heads to the mall with pig skin, pig eye lids with lashes attached and pig snouts and stops shoppers and informs them that those “goodies” are what’s packed in their beloved deli meats and hot dogs. She has a bed and breakfast clinic within her home where she gives linseed enemas to obese clients, examines their bowel production through smell, texture, and whole food particles to determine how healthy their body is and if they chew their food properly. Here’s a detox challenge straight from her book: Answer yes or no to each of the following questions. Do you use underground transport regularly? Do you frequently jog, run or walk alongside busy roads with traffic? Do you regularly use a cell phone? Do you regularly use a computer? Do you live near high-volume power lines, a nuclear or electric power plant or cell phone tower(s)? Do you regularly smoke cigarettes or other substances? Do you frequently use recreational or prescription drugs and medications? Do you drink alcohol on a daily basis, or binge drink on weekends or at other times? 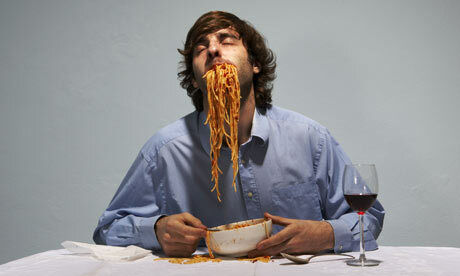 Do you lead a sedentary lifestyle whereby you never exercise? Do you catch more than three colds, flus and/or viruses in an average year? Do you have any mercury fillings in your teeth? Do you drink on a daily basis any of the following: coffee, fizzy drinks, tab water, cows’ milk and/or carbonated sodas? Do you eat on a daily basis any of the following: sugar, sweets, chocolates, white bread, canned food, frozen food, microwaved food, fried food, meats, cured lunch meats, cookies, cakes? Do you normally add what sugar or sugar substitutes in your tea or coffee? Do you regularly add salt to your food when cooking, or add salt when your dish arrives? Is reading food labels for chemicals or preservatives before making selections irrelevant to you? I don’t know about my G.O.Ps, but I had 7 questions where I answered yes. Let’s check out what the scoring means. If you answered yes to more than 5 questions, then you may be a toxic junkie. I suggest you embark upon my Detox Day Plan at your earliest convenience. This weekend perhaps? Ouch Dr. Gillian McKeith! That cuts like a knife. And here I was thinking I would score totally awesome and knock ‘em dead. Yikes! I’m a toxic junkie…. If you answered yes to more than 10 questions, then you are a toxic dump monster. You are most likely loaded with toxins throughout your organs, cells, blood, and body. You might even have bad breath, flatulence, and body odor. If not, you’ll have it soon enough along with a host of serious ills if you fail to act immediately. Therefore, you must embark upon my Detox Day Plan immediately. And I mean today. I am not giving you a choice here! The good news is that a detox of any sort need not be unpleasant, undignified or inconvenient. A detox can be gentle, easy, simple and minimal. It certainly shouldn’t be so austere that it makes you want to kill for a doughnut because you are in such desperation. The best way to determine if you are consuming enough water per day is by the color of your urine. If your urine is a distinct yellow and murky you may be dehydrated. A hydrated body will produce urine that is pale yellow to near clear in color. So it snowed over the weekend and it seemed like just yesterday I packed away my winter clothes and boots only to take them out again after a brief break from the Canadian chills. The winter always reminds me of eating out or ordering take-away because the weather makes for a tumultuous commute to and from the local grocery store – that is if you can make it out of your driveway without getting stuck in the snow. Ordering out can be difficult when you’re following a healthy eating plan or at least trying to. To help my G.O.Ps out I have a list of tips and terms to help you make the right choice off the menu. Take the breadbasket away. This will help limit the number of excess carbs you consume on top of your entree. After 5 pm, substitute vegetables and salad greens in place of fries, white rice, potatoes, and bread. Have your protein baked, grilled, steamed, or poached. Pay careful attention to what you order on a regular basis, my G.O.Ps. An added 10 calories per day (i.e. a bite of an apple) will lead to a 1 lb. gain by the end of the year. What are sodium nitrates and nitrites? Well, simply put, they are preservatives (aka chemicals) that are added to processed meats to prevent the meat from turning grey. Since all meats are “cooked” through some process, it’s strange to see the bright red hue they exhibit. 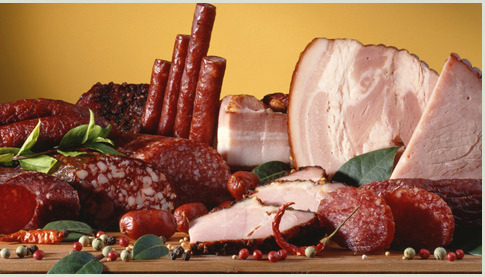 Nitrates and nitrites convert into nitrosamines in the stomach, and nitrosamines have been shown to cause cancer in animals when consumed in large quantities. Does this mean that nitrosamines will cause cancer in humans? Not necessarily. Animal studies demonstrate a correlation or association between factors (nitrosamines and cancer risk) that may ultimately prove valid in human studies. I’ll keep you updated on the latest research. Convenience foods are flooded with these kinds of preservatives and as a general rule, everyone needs to eat foods as close to nature as possible in their most unadulterated form. Would I recommend eating deli meats to one of my clients? No. But, there are pre-packaged deli meats that do not contain nitrites but again, contain other preservatives. Ever wonder why a pack of deli meat lasts for weeks in the fridge, while a piece of home cooked steak doesn’t? Digestive processes in your body have a harder time digesting preserved foods, and the transit time from stomach-intestines-colon is increased. The longer foods wait in the digestive system to be broken down, the more bacteria are formed and have a longer time to ferment. This is the essence of the dietary intake to disease incidence cycle.